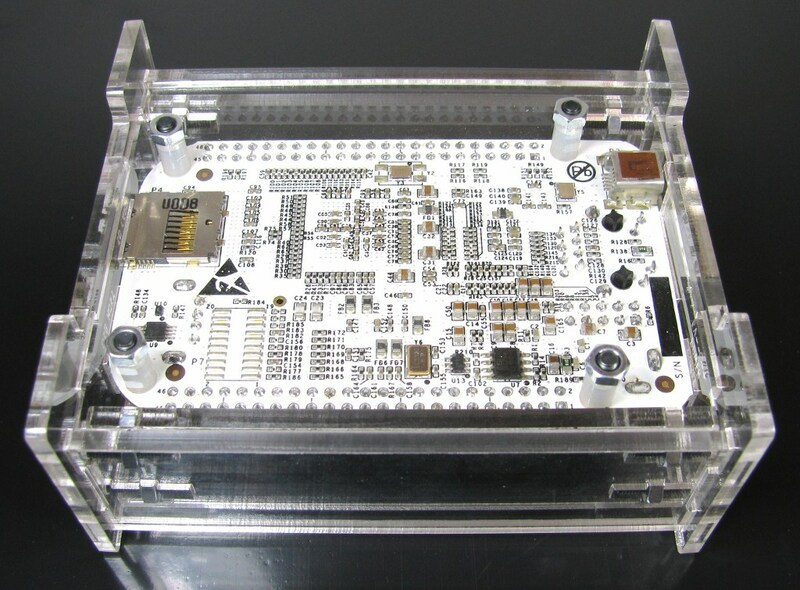 I've made a couple of minor changes to the BeagleBone enclosure kit. 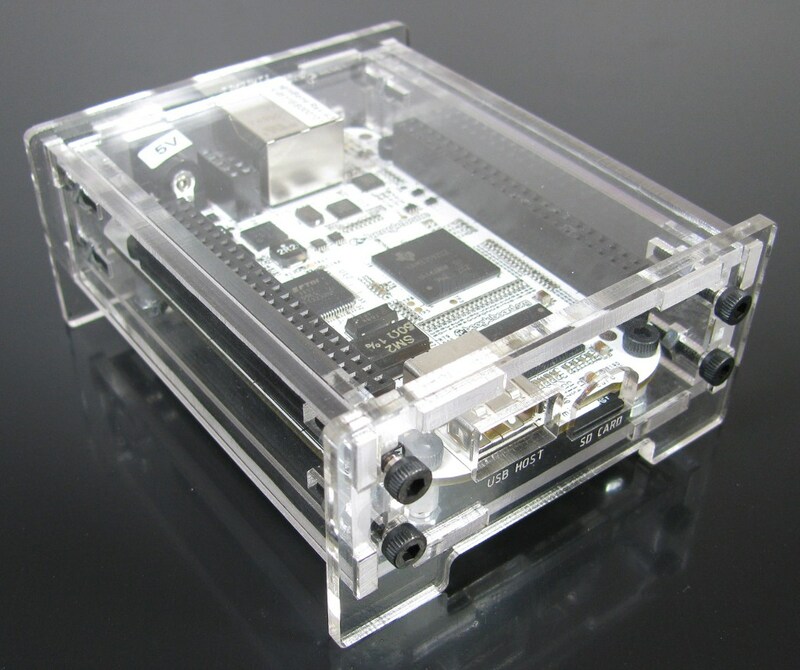 First off, they're now available in clear for those who want to admire at their little embedded computer but also keep it in a nice, safe plastic shell. Next, I've modified the SD card slot to make it easier to insert and remove the SD card and accommodate the changes to the SD slot changes made in the A4 revision. Finally, I switched to smaller diameter standoffs to avoid potentially hitting R150 on the bottom of the boards. If you happened to be an early adopter, send me an email (craig@built-to-spec.com) and I'll get you some new standoffs and a new SD card panel! In other news I've created a new page where you can find all the instructions for the various kits I offer that will hopefully be updating more frequently in the coming weeks. This entry was posted on Thursday, March 1st, 2012 at 4:37 pm and is filed under News. You can follow any responses to this entry through the RSS 2.0 feed. You can leave a response, or trackback from your own site. I’m not opposed to the idea at all, but I haven’t picked up a DVI cape yet. If I could get someone to loan me one, I’d be more than willing to design an enclosure around it and provide a free one to the nice person that loaned me the cape.